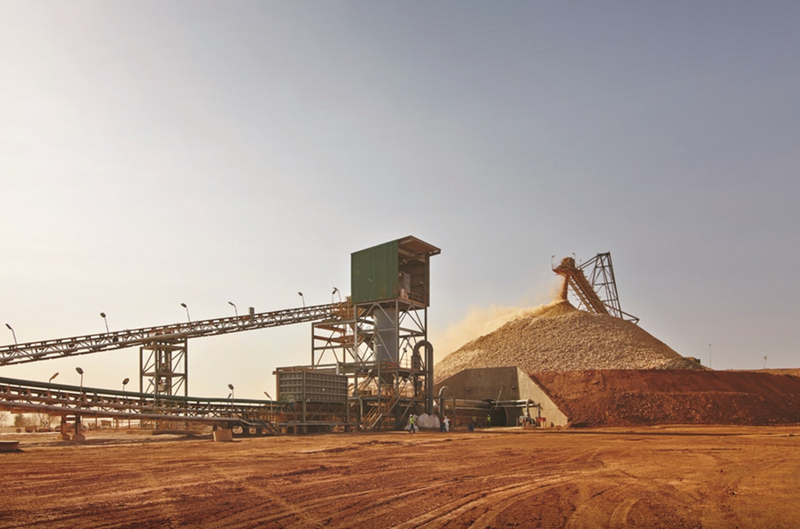 Last week, Nord Gold (OTCMKTS:NRDVY) announced that it had begun operations at its new Bouly mine in Burkina Faso which the London-HQe’d miner said was constructed on schedule and under budget. Nord Gold’s shares trading in New York jumped 6% on Friday and the $1.3 billion company is trading 23% higher year to date. Bouly is part of the same complex as the company’s largest existing mine, Bissa, in the West African country. The Bouly mine will produce around 20,000 ounces of gold this year and an average of 118,000 ounces annually during the 10-year life of mine at a healthy all-in sustaining costs of just $730 per ounce at full production. “The mine will be the main driver of Nord Gold’s annual gold output growing in 2017 to more than 1 million ounces from 950,000 in 2015, revenues rising to more than $1.3 billion from $1.1 billion and Moody’s-adjusted EBITDA growing to around $600 million from $512 million over the same period. The company is also in the construction phase of its Gross mine in Russian that boasts 4.4 million ounces of reserves and 8.5 million ounces of resources. Gross, also a heap leach operation, could start up early in 2018 and produce 230,000 ounces a year for 20 years at an all-in cost of just $760 per ounce. Nord Gold went through a rough patch in the first half of 2016, with output at the company’s mines in Russia, Kazakhstan, Guinea and Burkina Faso declining 17% from a year earlier to 423,000 ounces, while its all-in costs rose 22% to $878 per ounce. Moody’s says it “could upgrade the rating if there is no further material deterioration in Nord Gold’s operating performance or capex overruns at the Russian mine under construction, factors that could lead to the company’s leverage growing beyond our expectations”.